The tradition of going to prom in a limousine is as deep-rooted as the culture of prom itself. With BWI limousine services you can enjoy this tradition well within your budget. Show up at the venue in the style that makes you stand out and feel the extravagance of the door held open for you as you exit the vehicle in style. BWI Limousine Services is large scale transportation company, and our flawless service with the fleet of luxury vehicles has made us known for our reliability. Prom is an important leap from being a teenager to being an adult, and you will have a lot on your mind, so let us worry about driving you in a luxury limo to the prom party. If you are a parent booking a prom limo, you should be assured of your kids’ safety with us. All of our chauffeurs are appointed after making sure they are the right kind of people to serve your children. Each chauffeur goes through a detailed inspection by our management. We provide step by step training in driving, hospitality, and safety to all of our chauffeurs. Large corporations and individuals with a stature consume our luxury services for the unique experience of our concierge styled limousine service. These chauffeurs deliver a smooth drive on all trips and only choose the safe routes to their destination. Our chauffeurs follow our strict code of conduct on each job that makes sure that prom kids are riding in the safety of experienced individuals. There is a joy in being driven in a chauffeured limousine that the Prom kids will experience in its full swing. As the kids enjoy the luxuries, the parents benefit from the peace of mind knowing a trustworthy company chauffeurs their children. 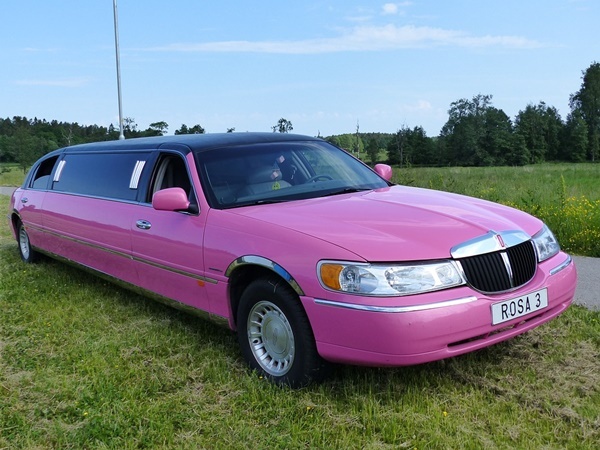 Our stretched limo show up early to allow time for pictures and passengers to settle in the car comfortably. We have a tradition of being on time, and your reservation means guaranteed Prom Limo at your doorstep five minutes before the asked time. We have a large fleet of stretched limousines for prom day service. These limousines are fitted with all the modern amenities. These limousines are icons of style and fun, yet they offer exceptional safety features. Even if you don’t require a stretched limo, our Lincoln Town Car and Chevrolet Suburban offers the same level of luxury and style in a small size. These vehicles are ideal for individual couples and friends to go to the party in style and comfort without pushing their budget out of their range. Feel free to call us at “(202)766-7518” and ask us any question regarding available limousines and choose one that suits your style. It's hard to get a prom limousine in the season, but we have a large fleet of stretched limousines so feel free to have your limo reserved. We also have an affordable booking plan for joint prom limo for you and your friends, do inform our representative on the call of your requirement, so we recommend an appropriate vehicle for you.